I hope God’s not fair, and so should you. The scriptures say: by the works of the law, no one is justified. For all have sinned and fall short of God’s glory. But, He has not dealt with us as our sins deserve. He saves us, not because of righteous works we have done, but according to His mercy. But, as a result of His work in us, we must show our faith by our works. Therefore, repent and trust Him for life. 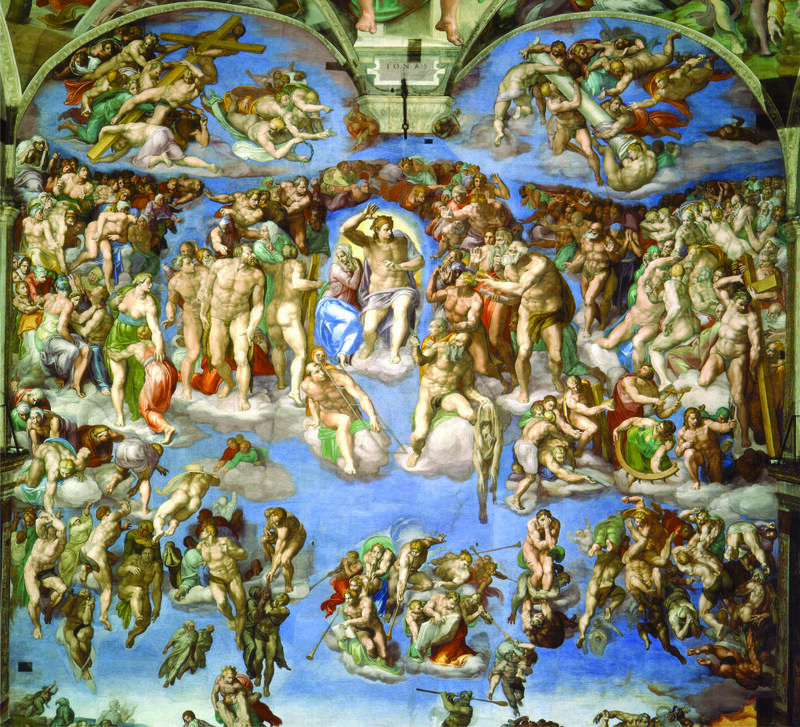 This entry was posted in Reviews & Commentary and tagged Apostle, Buonarroti, Christ, Craftiness, death, Deceive, Deserve, Fair, Faith, Fall Short, Futile, Glory, God, Hope, Jesus, Justified, Last Judgment, Law, life, Lord, Mercy, Michelangelo, Prophet, Repent, Righteousness, Sin, Trust, Wisdom, Wise, Works by Mandated Memoranda. Bookmark the permalink.